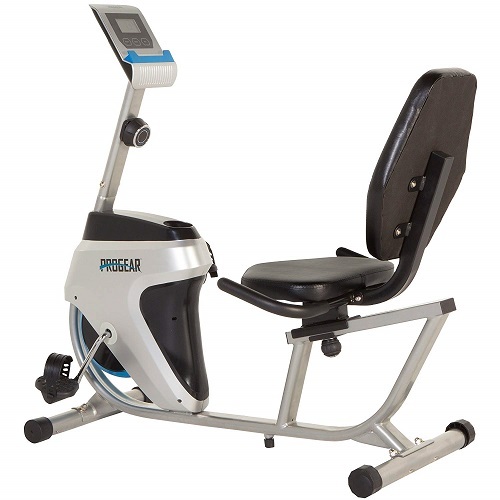 The PROGEAR 555LXT is a well-made recumbent bike for those who want to cycle indoors. 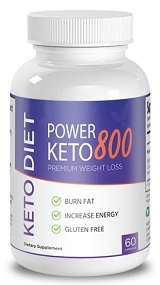 It is suitable for anyone below 250lbs and between the height of 5ft and 6ft 3ins. This affordable fitness machine offers almost everything one would want in a recumbent bike – comfort, adjustable resistance, performance tracking and more. To determine whether it is worth buying, then read this PROGEAR 555LXT magnetic tension recumbent bike review. The PROGEAR 555LXT recumbent bike does not come fully assembled. The only preinstalled components include the drive and frame. You will need to assemble the front post, seat, console, stabilizer bar and pedals, a process that can take up to 2 hours. Putting the bike together is much easier and faster if someone else helps to hold the parts in place while you bolt them in. Mounted on top the front post, the built in computer makes it easy to track your cycling progress. It features a wide screen LCD monitor that displays large numbers for easy viewing. The screen only shows one reading at a time such as current speed, revolutions per minute (RPM), time elapsed, distance cycled, odometer (that is cumulative distance) and calories burned. By hitting the scan button, each reading will display for 4 seconds before moving on to the next one. Users also have the option to set 3 fitness goals based on time, distance or calories. This magnetic tension recumbent bike offers up to 14 levels of resistance. Therefore, you will be able to increase or reduce the intensity of each workout. The tension knob just below the console on the front post makes it easy to adjust resistance with a simple turn. It brings the magnets further or closer to the flywheel so that the pedals move with different levels of resistance. Unlike upright bikes, the PROGEAR 555LXT does not have a saddle. Instead, it features a padded seat with backrest support. The seat can move closer or further away from the pedals by sliding it along the support/slider underneath it. All you have to do is loosen the knob below the seat to make adjustments and then tighten it when done. The seat moves with the fixed backrest and side handlebars with soft grips. The handlebars on each side protrude up at an angle from below the seat. You can hold onto them when pushing through a tough workout or in need of support to maintain your balance. Supporting a user weight limit of up to 250lbs, the steel frame of this stationary bike from ProGear is very strong. To ensure a wobble free workout experience, the stabilizer bars have lever caps on each end. These levelers help to keep the bike balanced on uneven surfaces. The PROGEAR 555LXT operates quietly thanks to its single crank drive belt. Therefore, you can easily watch TV while working out without having to turn up the volume. For added convenience, this recumbent fitness bike comes with a couple of accessory holders. The water bottle holder positioned on top of the drive shroud allows you to stay hydrated without interrupting your workout. In addition, the shelf on the console can hold your tablet or phone within easy reach. If you live in a small apartment or space is an issue, the good news is this PROGEAR recumbent bike features a compact design. It only requires 43 x 22 inches floor space. As an added bonus, front stabilizer bars have rollers to help with moving the bike. So, when you need to get the bike out of the way, simply grab the back stabilizer bars and push it to storage, much like how you would move a wheelbarrow. Is the PROGEAR 555LXT Recumbent Bike Worth Buying? If you are on the market for a well-constructed recumbent bike under $200, then the PROGEAR 555LXT is definitely one model to look at. Most buyers have so far reported of being happy with the bike. The affordable price, comfort, sturdy design, quiet operation and quality of construction materials are some of the aspects that customers love most about the PROGEAR 555LXT recumbent bike. Unlike more high-end stationary bikes, the in-built computer on this model does not keep records of your workout or upload stats to a fitness account to help evaluate performance. On the plus side, you can do this manually after every workout session. While the PROGEAR 555LXT recumbent bike has a few downsides, its benefits clearly outweigh the minor flaws it has. Overall, the bike provides good value for the price, especially if you are on a low budget but want to invest in a quality fitness machine for low impact workouts.